SURKHET, March 26: The raging flood in the Bheri River in 2014 killed 10 people and inundated dozens of homes. A large part of arable land was inundated. 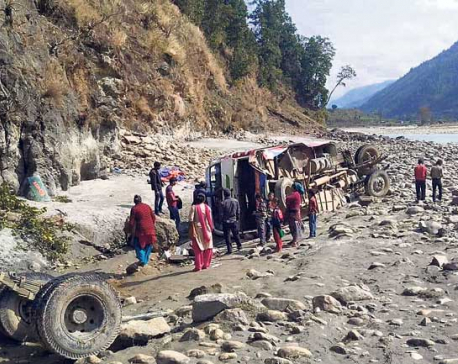 Around 50 households which were rendered homeless by the flood started living a miserable life in Girighat along the Karnali Highway. While they are still struggling for their existence, various crusher operators have been enjoying a monopoly in their original land. Thapadera falls under Chure area. 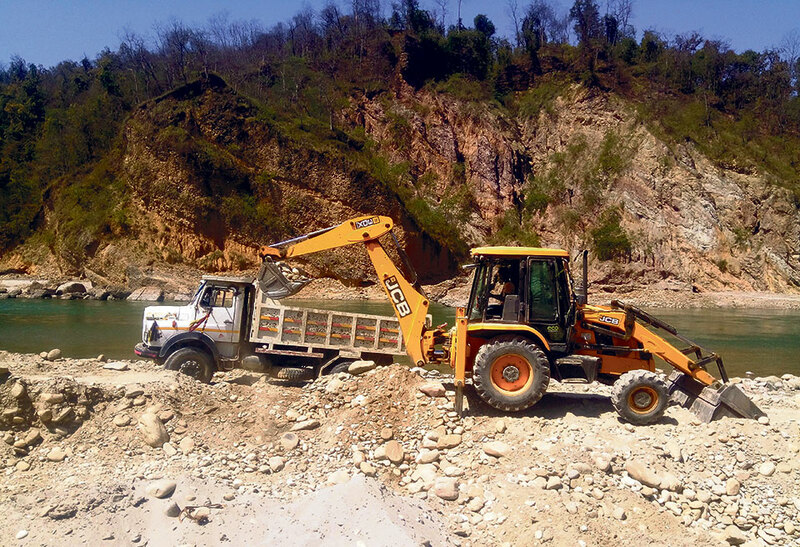 It has been two years since a crusher plant has been operating on the banks of the Bheri River here. 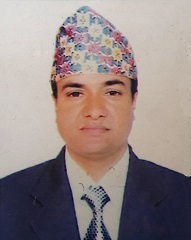 Minister for Physical Infrastructure and Development of Karnali Province, Khadka Bahadur Khatri, is the proprietor of the plant, which has been operating “against the law”. Locals have repeatedly knocked on the doors of local government and administration demanding to stop the rampant extraction of resources in Thapadera but in vain. On November 27, 2018, the Small and Cottage Industries Development Committee, Surkhet permitted Mahalaxmi/Kirateshwor/Pradip JV to temporarily run a crusher plant at Thapadera following the instruction of Division Road Office (DRO), Surkhet. Minister Khatri later changed the name of Pradip Constructions to KSK Constructions. The minister-owned KSK Constructions was permitted to extract construction materials required for the construction of road between Airport Chowk to Engineering faculty building and Bajyai to Amritdanda on a temporary basis. However, KSK has been accused of using the materials for other purposes as well. Apart from Minister Khatri, Dhan Bahadur Rawat, Chairperson of Surkhet Chamber of Commerce and Industry, entrepreneurs Surya Rawat, Govinda Gautam among others have been operating crusher plants at Thapadera by breaching the law. Some locals have captured the land of flood victims. “ We knocked the doors of the ward office and police but they threatened us, instead,” said Thapa. According to him, those running the crusher plants have been repeatedly told to stop the illegal excavation but they do not listen. Minister Khatri’s business partner Surya Rawat stated that they could continue their work until mid-July as per the agreement. “We still have four months left before our deadline expires,” said Rawat. He refuted the allegations leveled against the crusher plants stating that the extracted materials have not been sold to anyone.